Awamori (泡盛) is an alcoholic beverage indigenous and unique to Okinawa, Japan. When awamori is aged for three years or more, it is called "kosyu" (古酒, "old liquor") and refers to aged sake. Before the Battle of Okinawa during World War II, 200- and even 300-year-old kosyu existed, but all were lost in the battle. Several attempts are being made to produce these kosyu again. Chiyoizumi distillery of Awamori was in Miyako island, Okinawa. The brewery was closed due to various circumstances in the year 2013. But the Awamori which remained a little in the warehouse that became a scrapped house. 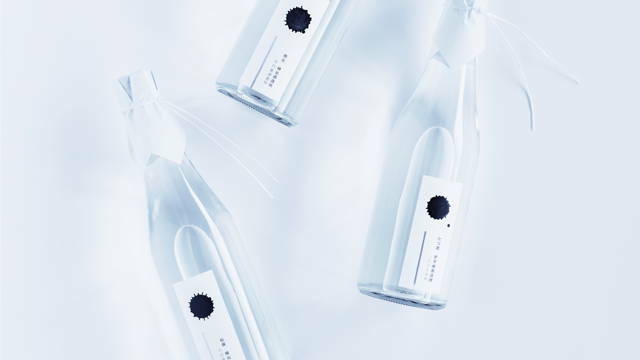 This project was created to rethink Awamori culture, breathing new life into sake of Awamori. These Awamori were blended Chiyoizumi's awamori and other distillery's awamori. Dressed in all white, the packaging portrays a traditional Japanese funeral where white symbolize of lamentation and grief. All labels are differently. We dropped the ink mixed with Awamori on labels.